View of the beach promenade of Sassnitz from an apartment for three people. ​Rügen | Spend your holiday right on the coast of Germany’s popular holiday island and enjoy the uninterrupted view of the sea from your own terrace. 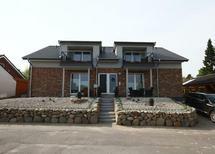 “Great location directly at the water,” wrote one satisfied holidaymaker. Baltic Sea | So that the beach stroll starts straight at your front door and the car is not needed: These holiday apartments and houses are no more than 100 metres away from the Baltic Sea shore. 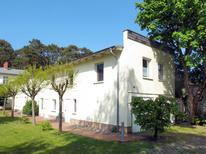 The Seeschloss (Lake Palace) villa is directly at the beach in Ostseebad Binz. Baltic Sea coast | Welcome to the old imperial times, when a bathing holiday at the Baltic sea was something exclusively for the rich and titled. You’ll find typical villas here, which date from that period. 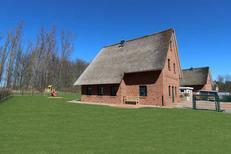 You’ll find this thatched-roof house for up to six people in Neuendorf in the south of Rügen. “The lovingly refurbished villa really is an experience,” wrote one satisfied customer about this holiday accommodation in Ahlbeck. ​German Baltic Sea coast | Here we'll show you the accommodation on the German Baltic Sea coast, which has received thebest reviews from our customers. ​Warnemünde | The widest beach on the German Baltic Sea coast and many leisure possibilities on site as well as in the nearby surrounding area have won you over, and made you select Warnemünde as the best holiday resort 2014. A holiday house on the German Baltic Sea Coast costs on average GBP 563 in the cheap travel period and GBP 976 in the peak season per week. These details are of course in relation to the house and not per person as well as includes the obligatory additional charges. Germany's Baltic Sea Coast comprises Schleswig-Holstein and Mecklenburg-Western Pomerania. The German Baltic Sea Coast might lack the sizzling Mediterranean climate of southern European resorts but it still has thousands of kilometres of sandy beaches. Those that rent holiday houses at the German Baltic Sea Coast can also visit expansive national parks and intriguing historical destinations. Visitors that book holiday homes in Schleswig-Holstein should visit Luebeck as among the notable destinations there is the Holsten Gate which is now a maritime museum. 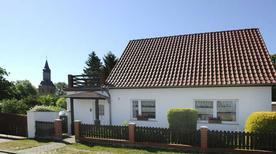 Holiday rentals in Usedom put visitors within reach of a string of resorts along its coastline. It has some of the longest piers in continental Europe. Those with holiday apartments in Schleswig should also check out the majestic, fairy tale Gluecksburg castle which has retained much of its Renaissance interior. Mecklenburg-Western Pomerania includes Rügen which is Germany's largest island. With beach resorts such as Schaabe, which has ten kilometres of sands, and Rinz it is an ideal destination for holiday rentals. Visitors staying at holiday apartments in Rugen should also visit the magnificent chalk cliffs at Jasmund National Park. Book holiday houses in the south of Mecklenburg-Western Pomerania to visit Müritz National Park which expands across large portions of the Müritz lakeland. Visitors renting holiday homes in northeast Mecklenburg-Western Pomerania can visit the landscape of cliffs, dunes and woodlands at Boddenlandschaft National Park on the Baltic coast. 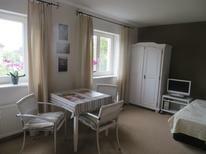 Overall, there are plenty of destinations for visitors on vacation in a holiday home in the Baltic Sea coast to visit. The Baltic Sea Coast has resorts ideal for beach holidays, lovely national parks, interesting historic sites and more besides!